Small snouts. Soft, brown eyes. 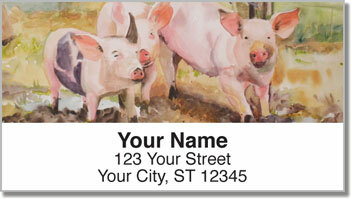 How you can you stand not to love these pigs? 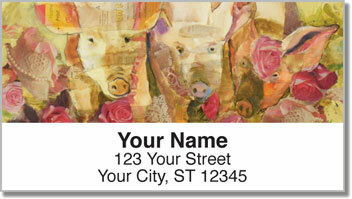 Artist Kay Smith is responsible for these precious pigs. 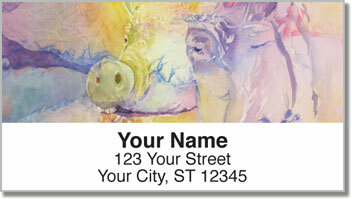 With inspired brushwork, she paints them in watercolors. They're impossible to ignore and easy to adore whether they're playing, sitting, or just staring off into the distance. 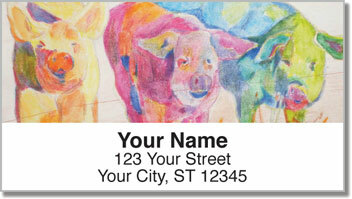 Whether you love pigs or just fantastic watercolor designs, check out these creatures on our self-adhesive address labels today!